Are you a quite frustrated with your last boat fishing trip? Do you wish to improve your skills as an angler? Or are you a beginner who’s just starting to appreciate the joys of saltwater fishing? Maybe you need to learn some saltwater fishing techniques which are proven effective in helping anglers catch more fish. Most anglers spend their weekends fishing and with two things in mind— to enjoy the thrill of outdoor fishing and preserve marine fisheries at the same time. So they practice catch and release fishing. Releasing a fish may not only be the intent of an angler however. It may also be due to various reasons. For example, the fish may be too small. Or the waters or species may be regulated. Whatever the case may be, it would help you a lot if you are familiar with the following tricks in catch and release fishing. Of course, the main motivation for you is not only to catch a fish but to ensure that it will survive when you release it back to the water. One way to do so is to utilize methods that would likely have the fish hooked through its mouth, instead of its gut. These include using a live fishing bait. Although a live bait like bloodworms, clam worms and crabs may be hard to catch and keep, nothing beats them in luring a finicky fish. When using a live bait, utilize light hooks and lines so that the fish won’t be further stressed. Before setting out on your next fishing trip, you should make an effort to check your local saltwater fishing report. This can be found at your local bait shop or possibly online and will usually tell you what type of fish are biting where and what baits and lures are hot right now. With regards to saltwater fishing hooks, you should avoid using barbed hooks as it can be very stressful to the fish. Instead, try to use barbless hooks and circle hooks which can cause minimal damage to the fish. You may also bend down the barb of a hook to prevent it from damaging the fish. Set the hook as soon as you feel the fish ‘biting’ your bait. Allowing the fish to take the bait will give it more time to swallow it. Moreover, land the fish immediately since the longer you fight a fish, the less likely it is to survive due to the buildup of lactic acid in its body. Once you land the fish, wet your hands first before touching your catch. Dry hands can damage the skin, scales, and slime that protects the fish. You must also keep the fish in the water while you take the hook out of its mouth. Of course, you likely would want to take some photos of it, or measure it. You can do it as long as you keep it near the water. Don’t forget to put it back in the water immediately. When you hold it up for a picture, avoid squeezing the fish tightly. Doing so may damage its eyes and gills. If you don’t like being on a boat then you may prefer surf fishing. This is the method of catching fish by standing on the shoreline or wading in the surf. In this method of catching fish, both live and artificial lures are used. But be cautious of the waves and undertows as these can be very dangerous, causing injury and worse, possibly death. One of the most widely discussed surf fishing tips that you’ll hear is to fish during high tide. This is because fish come near the shore to feed at this time. But be careful when you surf fish at dawn or dusk, since it can be very difficult to see people or objects on the beach. During low tide, check the beach for dips, hollows and other structures where the fish may be feeding. You can also ask the locals on where you can spot fish, so you’ll have a greater chance of catching them once the high tide comes back in. When it comes to lures, you won’t go wrong with live baits. Again, the crabs, sand worms, blood worms, mullets, and even shrimp would help you in catching fish. The most effective set-up for this method of catching fish is the fish finder rig, then a drop rig. If you haven’t tried surf fishing before, then you should start with a fish finder rig. 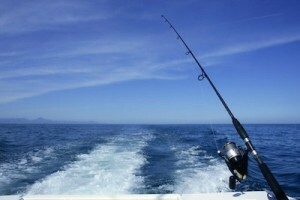 You may then try out other options later, as you become more familiar with this kind of fishing. If pier fishing is the fishing technique that you are most comfortable with, then the first order of business for you would be to find a fishing pier with high quality of fishing. It is no secret that waters in most piers these days have high levels of pollution. Another downside of fishing in piers is that most fishing piers are packed with anglers during peak seasons. One of the best saltwater pier fishing tips you’d learn from the experts is to supply yourself with the right equipment. Bring a conventional spinning rod that is at least 12 pounds tested, and weights that would keep your bait deep in the waters, where most of the fishes dwell. You will also need to bring J hooks for pier fishing. For baits, you may bring in live bait such as bloodworms and shrimp. It pays to be observant while in a fishing pier. You would get an idea where the fish are by observing the movement of birds like seagulls and pelicans that hang around the area. These birds can locate movement patterns of fish, giving you a clue about which part of the pier you should be in. Finally, remember that one of the great things about fishing on a pier is that you don’t need to cast out far in order to get a catch. Fish like hanging around a certain spot, so just be patient in dropping your line until you eventually find some. These are just some of the saltwater fishing methods that you have to remember the next time you head offshore for a fishing expedition. These saltwater fishing tips and tricks are proven to work, whether you are in a boat or in a fishing port.